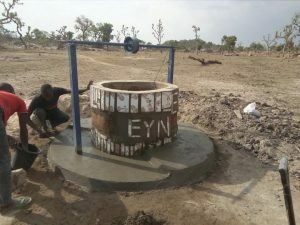 EYN Disaster Ministry put in 2 wells and 2 bore holes around Shaffa and Kwajaffa area. Many wells were destroyed during the occupation by Boko Haram. These water sources will serve 300 families each. At one site, the majority of the people accessing the water are Internally Displaced Persons from the Gwoza area (they are mainly farmers who cannot return to their homes.) At another area, the well will be used by mostly Muslim families. Peaceful coexistence between Muslims and Christians is one of the goals for Northeast Nigeria. 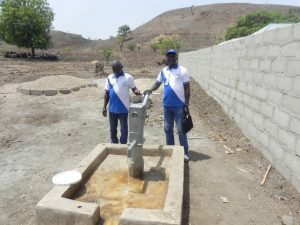 This water source put in by the church is a big step toward maintaining peace.